Tea has been a staple in my life since I was a child--as it is for many children of Indian immigrants! I grew up with the smell of cha (or chai/Indian tea) in my household. Whether it was the first cup of tea in the morning or my favourite afternoon tea its been a part of my daily routine. But soon enough, with my health issues (migraines and stomach/digestion problems) I had to limit the amount of caffeine, and sadly, Indian cha became too strong for me. This forced me to discover other teas from other parts of the world which I have come to enjoy almost just as much as I enjoy Indian cha and the bonus is that all these teas have great health benefits! At the end of a long day or at the beginning of one, nothing beats a soothing cup of tea! My absolute favourite is the Japanese Sencha Green Tea. This tea has such a lovely taste and great health benefits. This green tea is high in antioxidants. Meaning, it helps to fight disease and its great for your immune system and skin! Rooibos tea is also great for many reasons. It helps with stomach ailments, allergies, insomnia and also helps absorb Iron! This is a caffeine free tea. It has quite a unique taste, a little more of a richer/nutty sweet taste. 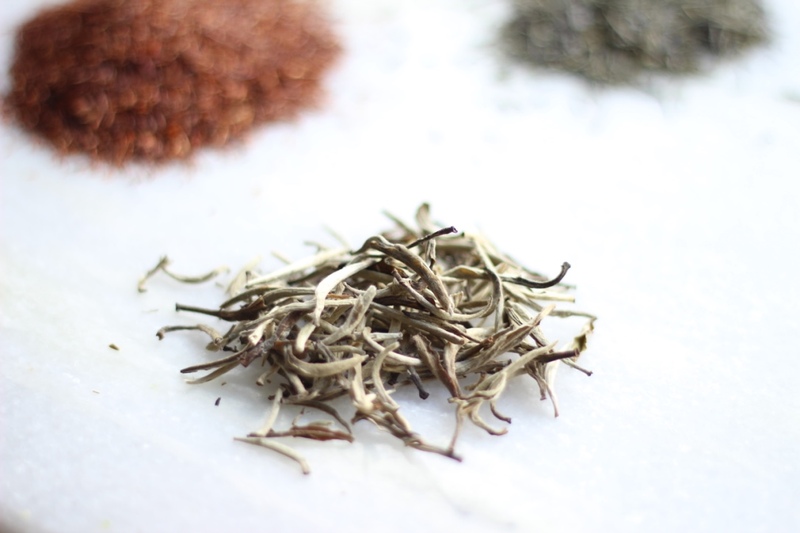 When you head to your local tea place to buy this tea you will notice that there are almost endless amounts of flavours and combinations of Rooibas tea. 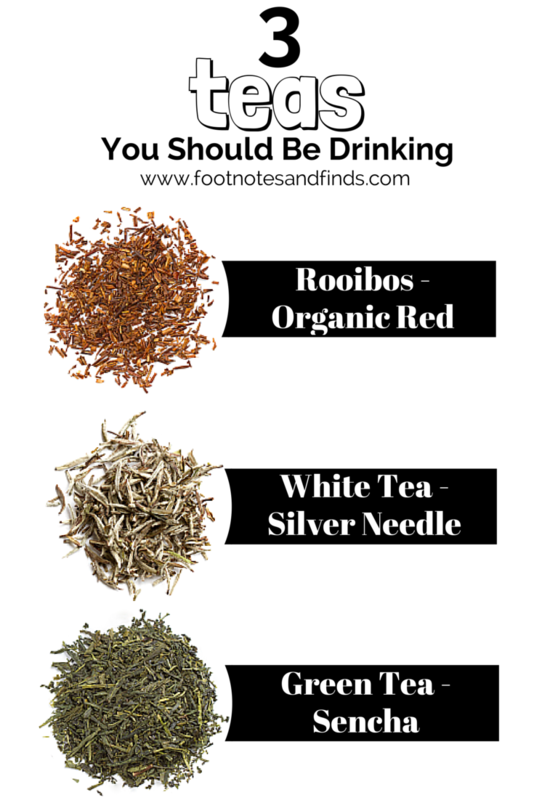 Although I haven't had the chance to try them all my favourite is the Organic Red Rooibas tea. Lastly, a recent addition to my tea collection and a tea that was once drank by Chinese emperors, is the white tea or Bai Hao Yinzhen! This has the most subtle taste out of the 3 teas mentioned in this post. I would say it has a bit of a sweet taste. 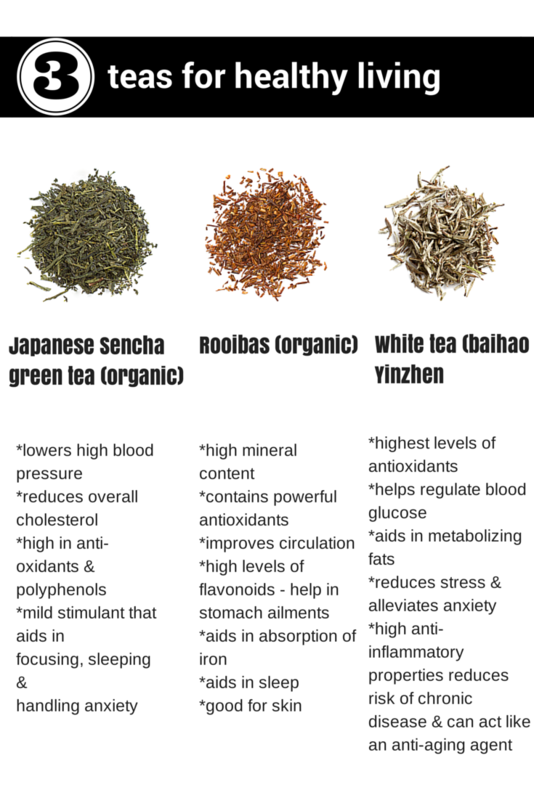 It has the most antioxidants out of the teas listed, is the least processed and has less caffeine than green tea. This reminds me, I need to start drinking more Green Tea to improve my health. All three of these teas are so soothing and rejuvenating. Love them! I love me some tea!!! I usually just drink regular green tea or chamomile but now I want to try these!!! I've tried white tea and it definitely has a sweet taste and I love it!!! Great info! Green tea is my favorite!! Lovely post!! I love the sound of the green tea! I'll have to let my housemate know about it, her immune system is shockingly poor! Great article. Really enjoying your blog. 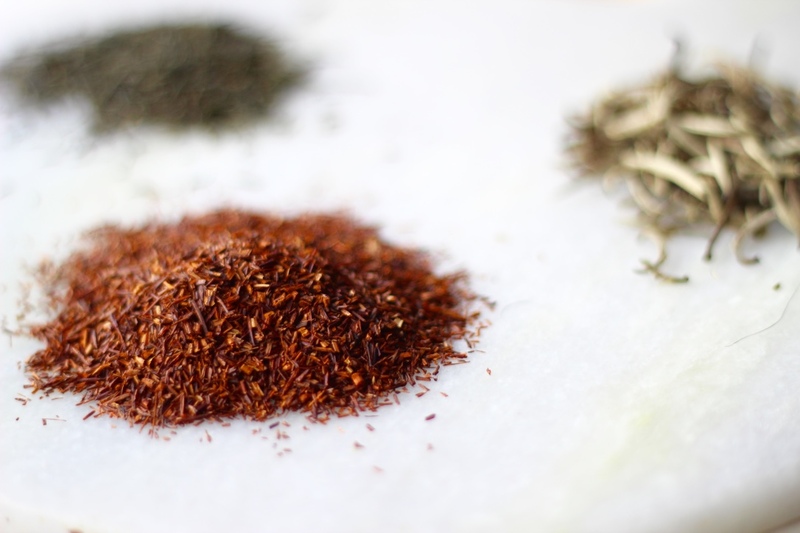 I love Rooibos tea, I drink one every night before I go to bed because it's caffeine free! Sometimes I have it alone and sometimes I put in some milk, both delicious!